When we are typing in a Laptop, most of the time fingers may touch the touch pad. Therefore, the cursor position is moved to another location. Again, we have to move the cursor back to the correct position for typing. So, this is annoying thing and it also affects to the typing speed. Nevertheless, you can disable the touch pad by pressing Fn-key with another key (that vary with the brand of Laptop). On the other hand, disabling the touch pad and again enabling it is somewhat annoying. Hence, I have found smart free utility called TouchFreeze that is working with Windows NT/2000/XP/Vista and 7. If you install this software on your Laptop, it automatically disables the touch pad while typing text. 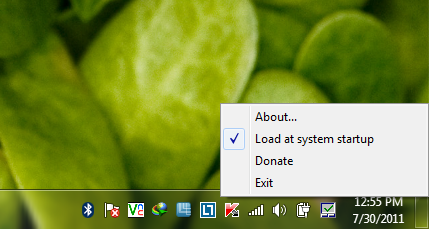 Here, you need to do is only install the application that will display on the Taskbar. As you can see in the figure above, it can be placed a tick on Load at system startup for running the application when the system starts. Thanks for finally talking about > "Disable Touchpad automatically while typing text" < Liked it! my blog post :: Just how must bodybuilders get " moobs " ?